Schools and colleges do not currently have the capacity to teach all pupils maths until they are 18, but could have within a decade, according to Adrian Smith’s long-awaited review of post-16 maths. 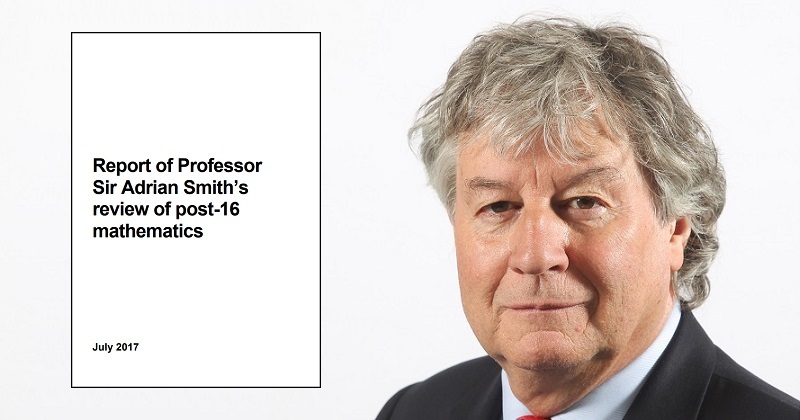 Smith, who was commissioned last March to look into the feasibility of compulsory maths study for all pupils up to the age of 18, says it is his “clear conclusion” that England’s education system does not have the “appropriate range of pathways available” or the capacity for teaching required to get most or all students studying maths to 18. However, Smith says he hopes that if the recommendations in his report are acted-upon, a vision of maths to 18 could be “realistically aspired to” within a decade. It comes as the government announces that schools will get a share of a £16 million funding pot to boost their capacity to teach maths A levels and other post-16 qualifications like more vocational “core maths” frameworks. In his report, Smith demands a review of the government’s current policy that all pupils over the age of 16 must re-sit maths qualifications if they fail to pass while at secondary school. He says the review should go ahead “in view of the low GCSE success rates and new GCSE requirements”, and wants “fresh consideration” of appropriate curricula and qualifications for pupils who fail their GCSE maths and “the extent to which current policy incentivises these to be offered”. 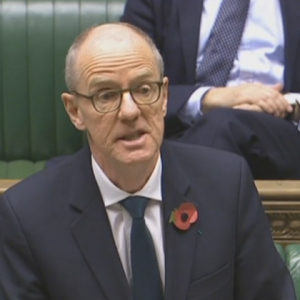 In his response to the review, the schools minister Nick Gibb says the policy will remain in place in 2017-18, but adds that it will be subject to continued monitoring and review. Gibb has also announced a £16 million investment to “increase the quality of teaching in post-16 maths”. The government says this funding will “boost the capacity of schools to deliver good quality teaching for post-16 maths courses including Core, A level and further maths”. Smith also calls on the Department for Education to ensure that schools can offer all pupils access to a core maths qualification, and says officials should consider how the brand of core maths can be strengthened. He also wants to see interventions in areas with low participation in A-level maths and co-ordinate work in those areas to support schools to build capacity at both GCSE and A-level. Smith also demands a study, from pre-school onwards, into the “cultural and other root causes of negative attitudes to mathematics”, including “gender and other sub-group effects”.